Although, it's not the best recording in the world. An off-screen recording of the behind closed doors presentation of Monster Hunter: World from E3 2017 has leaked online. The 22-minute video appeared on Chinese video sharing website Bilibili. We downloaded and uploaded the MP4 file here for more comfortable viewing. 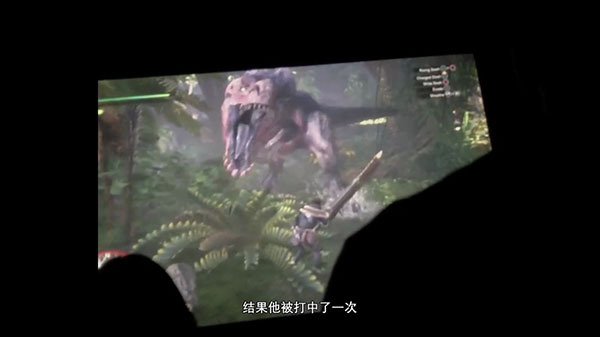 The video itself is recorded at an off angle, and much of it is dark, but it provides an unseen look at the newly announced Monster Hunter game. If you missed it, read more about the game here and here.